After P3 (Politician, Philosopher, Physicist) successfully applied the concept of escape velocity for social justice, politicians are hiring Biologists, Physicists and Geologists as their speech writers. Moreover, a survey revealed that more than 90% of web-savvy urbanites will vote this time. As a result scientific oratory has gained huge momentum. In his latest speech, P3 tried his hand at Biology when he used Darwin’s Theory of Natural Selection to bust the myths around dynasty. Addressing hawkers and rag pickers, the young leader explained: Boss, let me make it easy for you. Natural Selection is about natural process of survival. A rabbit that runs faster than his peers is likely to escape from predators. And I am the rabbit here. Do you get it? 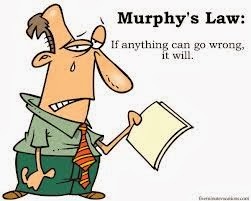 P3: Okay, so keeping Physics in mind let me tell you that our leader Dr. Singh is a firm believer of the Murphy’s Law. P3: The law states that ‘If anything can go wrong, it will’. After this speech, an impressed reporter asked: Since you have deep understanding of the subject, what do you think about the Theory of Relativity? In a Eureka moment the young leader said: When I am traveling abroad, an hour seems like a second. And when I am interacting with you, a second seems like an hour. That’s relativity! Terms used in Physics are resonating with politicians of all wavelengths. Another Haryana leader was seen explaining water woes on the basis of Archimedes Principle. Addressing a Khap Panchayat he equated water with alcohol and Haryana Water Supply Department with ‘Theka Desi Sharaab Ka’. No one quite understood the connection, but the political rivals are likely to sink by the weight of the argument. Leaders in Andhra Pradesh are using Pascal's Law to exert pressure on the Centre which is being transmitted equally in all the directions. Likewise, Mulayam Ji addressed a rally in UP. Rather intelligently he used Fermat's Principle - The Principle of Least Time. Mulayam equated a ray of light with his ministers. He said that the path taken by a politician between any two points in a system is always the path that takes the least time. This essentially meant that government officers between two postings can be dismissed within fourteen minutes flat! After this brilliant analogy, Mulayam was invited to write the script for the new season of The Big Bang Theory. Apparently, scientific jargon has gained such momentum that Diggy used Newton’s Law of Motion to explain the reasons behind the malaise which afflicts his tongue. He said: I can't help it. Neither can Azam Bhai. My tongue continues in its state of constant motion unless it is acted upon by an external force. When the General Secretary was asked about his reactions on the Nagpur based organization he said:The action and reaction are simultaneous. It does not matter which is called the action and which is called the reaction - neither force exists without the other. Meanwhile, when Namo was asked about theories of Physics he said: I study myself more than any other subject. That is my metaphysics. This post was a quick revision for me. Yes, you are right. Nothing much is gonna change. Ma'm, you have taken me by surprise here! As for the RaGa comment, I think it was not a bad thing to quote. Makes sense. Coming from an IIT genius, the comment makes my day. You are right, The RaGa comment made serious sense. But he chose the wrong audience.The fact that he was addressing Dalits made it funny. I hope politicians take the energy consumption issue seriously and not thing chalta hai. Because "Energy cannot be created or destroyed". Now this is a post that even Einstein would have approved of! Fantastic! The Mulayam bit had me laughing out loud for over a minute. They say that NASA is primarily constituted of Indians. Now we know why! Science is in our blood. And when it comes to the vote banks, we can relate anything from Biology to Physics for the right Chemistry! This was seriously hilarious :). I can see the RaGa is inspiring a lot of people. Chalo at least, people will pay some attention to science even if their basic demands are not met :). He can always go back to teaching if politics doesn't work. Many from his party will send their kids to RaGa Jis coaching Centre. My brain is burning!1 You have thrown so many hilarious possibilities!! Goddamn!! Mulayalam jee writing the BIG BANG THEORY!! HAHAHA u r awesome!! Thank you dear. Glad you like this Physics lecture. Thank for reading and liking. Means a lot. Hold on. With all the momentum you gained during your birthday, you are likely to defy gravity. And here I am thinking that The Law of Relativity reads something like "How high you are in party hierarchy clearly depends on the height of the relatives you have in the First Family"
Awesome post, nice refresher course on Indian politics and physics as well. Ha ha, good one. Welcome here. Thank you for reading and liking. I think I have read your witty comments on TURT? I've simply decided that I'll capitalize on this opportunity to open a coaching institute for such people. The story goes that Jairam Ramesh an ex IITian writes RaGas speech. So yes engineers are in demand. Thank you Akanksha. Not many appreciate a post on politics and science. Even if its funny. Laugh now but in the future scientists will use the PET (Pappu's Escape Theorem) to send us to Jupiter faster than you can say Uranus. He might even win an Ignoble Award (http://www.improbable.com/ig/). Higgs-Boson you ain't seen nothing yet as we research into the G-force that rules a billion Indians. Absolutely. Truth and nothing but the truth. But who is laughing ? We are in awe! Pretty sure P3 are on India's new moon mission. Now that most son's are following their fathers footsteps ( across party lines ) the dynasty card is not a potent tool for bashing opponents. In fact Lalu and Mulayam have taken dynasty to another level. 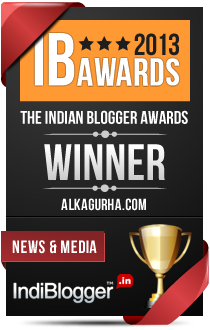 I don't know which politicians get inspired...but, you have inspired me to learn a lesson or two in writing blogs. That is high praise. Thank you indeed. Every time a beloved neta opens his mouth, he rewrites the Theory of Hilarity and jokes are created at a speed faster than light. Loved how you made our Politicos sound like budding Einsteins. Did you know that as per the laws of Quantum mechanics, there are infinite parallel universes existing simultaneously with our own. Maybe that is where all the black money is going. They are politicians, Alka. they will twist their tongue however they want to. Be it relativity or gravity, they can adapt to any theory. Thank you dear. I am glad you liked it. Thank you Vishal. Glad you liked it. I wanted to post the comment earlier but my net was role playing with me that of being my boss before screwing me ..
How on earth did you remember all those laws, i mean i cant recall what i had for lunch yesterday. Rest everything has been already said, i wish all those politicians get to read this.